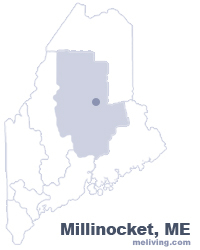 Millinocket, Maine was originally selected for development as a mill town by engineer, Charles Mullen. It’s heavily forested terrain, location on the Penobscot River and proximity to the Bangor and Aroostook railroad made it an opportune location for a hydro-dam and paper mill. Ground breaking for the future mill, Great Northern Paper, went under way in 1899. Millinocket is now primarily an outdoor recreational destination due to its proximity to Mount Katahdin, Maine’s tallest mountain and Millinocket and Moosehead lakes. 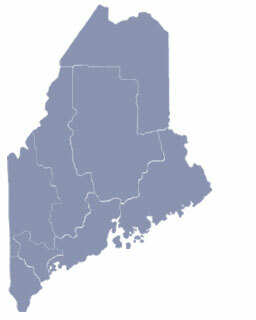 To share any Millinocket, Maine information with us, please contact us. Learn more about advertising in MELiving.